A genuine high performance six? The Holden VZ SV6 manual is a vehicle we tried to fall in love with. But on the road it’s a very different story. In real-world driving, the SV6 manual is a disappointment. Below about 4000 rpm (the operating range where you do most driving), the SV6 is flexible but it never performs at anything more than a pedestrian level. The word “effortless” (which we’ve used to describe the rival Ford 4.0) simply does not apply here. If you want to pull ahead of traffic, you are forced to take the 3.6 litre V6 engine to high revs. This wouldn’t be an issue if the engine was a sweet, willing revver – but it isn’t. The engine has a gravelly roar and – in manual gearbox versions – high rpm vibration floods through the clutch and gear knob. And it appears that Holden doesn’t want anyone giving the V6 a big rev. Curiously, the marked redline is at just 5500 rpm (1000 rpm below peak power!) and there are no markings beyond 7000 rpm. The rev limiter is squeezed in at 6700 rpm. Obviously, the SV6 won’t scare a typical V8. Even a garden-variety Falcon 4.0 or Magna VR-X will give it a close run. And the SV6 can’t hang its hat on fuel consumption. We recorded almost 15 litres of fuel per 100km in mainly urban conditions with the air conditioning pumping. In normal circumstances, we’d expect high 13s – pretty ho-hum in the category. Note that normal unleaded will satisfy the engine’s 10.2:1 compression ratio but Holden suggests high octane unleaded may achieve a small performance improvement. We used normal unleaded for our performance testing. 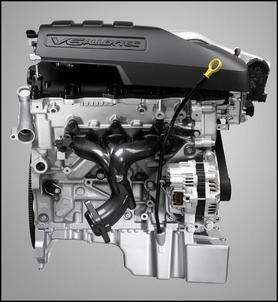 The SV6’s alloytec 190kW 3.6 litre V6 is hands-down the most technically advanced engine on the local market. 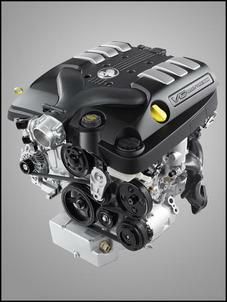 The 3.6 litre 60 degree V6 – the largest from GM’s Global V6 family – employs a 85.6mm stroke and a big 94mm bore. The bottom-end features a forged steel crankshaft with 6 bolt main bearing caps, steel rods and aluminium pistons. 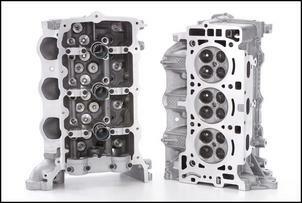 The new V6 breathes through a pair of DOHC, 4 valve cylinder heads with roller followers and hydraulic lash adjusters. The SV6 also boasts continuously variable inlet and exhaust cam timing (a first for any locally built engine) as well as a dual-stage variable intake manifold. The latest Bosch ME9 management system employs a torque-based engine control strategy and operates coil-on-plug ignition and a returnless sequential fuel system. The throttle is also electronically controlled. Twin knock sensors allow “individual cylinder adaptive control”. Free-flow cast iron exhaust manifolds and dual close-coupled cat converters help the engine meet Euro 2 emission standards. The SV6 engine also has wide-range oxygen sensors. Maximum power is quoted at 190kW at 6500 rpm. Peak torque is 340Nm at 3200 rpm with 90 percent of peak torque available between 1570 and 5870 rpm. The base Alloytec V6 trails the SV6 by 15kW and 20Nm (with both maxima achieved at lower revs). 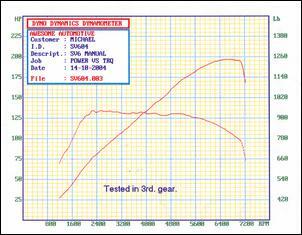 We put our test vehicle on Awesome Automotive’s Dyno Dynamics chassis dynamometer to confirm that it does make the quoted 190kW output. This graph shows the power and torque curves tested in third gear. You can see that torque is very broad between about 2000 rpm and 5600 rpm. The top-end shows a gradual torque drop-off, but peak power is achieved just before the rev limiter. Maximum power is 196hp (146kW) at the wheels, which – assuming a 20 to 30 percent drivetrain loss – matches the quoted 190kW flywheel figure. So, yes, the Alloytec 190 engine does produce its claimed power. The SV6 is available with a 5 speed Active Select auto or a 6 speed manual (as fitted to our test vehicle). The 6 speed gearbox is relatively notchy and reverse gear – which is found to the left of first gear - takes some effort to engage. The clutch is relatively smooth and must be depressed before you can start the engine. With a 2.87:1 final drive, the overall gearing of the SV6 is relatively tall – at 100 km/h in 6th gear, the engine is turning at just 1800 rpm. Interestingly, the manual uses the same top two gear ratios as the 5 speed auto. 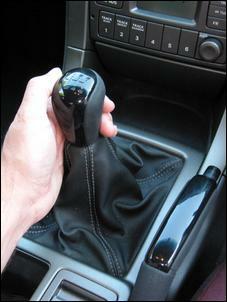 However, the manual’s extra cog allows a shorter first gear, giving just 9 km/h per 1000 rpm. This is said to provide better launch feel. Unfortunately, the change up to second gear is 75 percent taller. We imagine some gear alterations might improve the SV6 manual’s feel and 0 – 100 km/h time. The SV6 chassis benefits from the lighter mass of the Alloytec V6 and feels responsive to steering inputs. The 1592kg SV6 can be driven very quickly and it remains remarkably stable at all times. 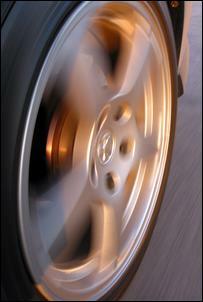 A high level of grip is provided by the 235/45 17 Bridgestone Potenzas. Body roll is minimised with use of FE2 sports suspension, which gives an occasionally harsh ride. The progressive power delivery means full-throttle traction is ample, except when flinging through tight corners. In these situations the traction control system does its thing without kicking back through the accelerator pedal as in previous models. Unfortunately, the SV6 does not benefit from the electronic stability control system found in other V6 models. It understeers moderately in tight conditions. The SV6’s variable ratio power steering is fine, though it does vary considerably in weighting. The brakes – with ABS, EBD and brake assist – are well up to the engine’s performance. The VZ update also brings a new brake booster/master cylinder arrangement. The rest of the SV6 is very familiar. 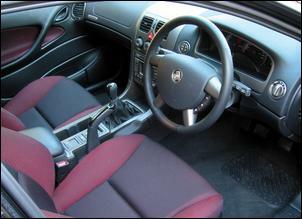 The cabin is conventional VZ featuring dual airbags, sports trim, a leather wheel, cruise control, trip computer, single CD/tuner and the usual electrics. You don’t get fully electric seats or climate control. Visually, the VZ update is very similar to the superseded VY series. 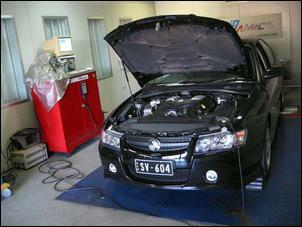 VZs get sharper bonnet lines and a revised nose with a larger Holden emblem. The SV6 goes further with black bezel headlights, revised taillights, fog lights, a deep front air dam, rear spoiler and an oval exhaust tip. Attractive 17 x 8 inch wheels are also standard. At AUD$38,990, the SV6 is AUD$1k dearer than a Mitsubishi Magna VR-X and within couple of hundred dollars of its nearest competitor – the Ford XR6. 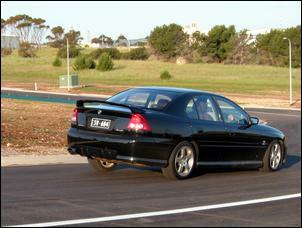 Note that our test car was also equipped with an optional LSD, which adds AUD$360 to the base price. The SV6 doesn’t feel as effortless or refined as the Ford, but it does hold the advantage of slightly better fuel consumption and slightly better all-out performance. Just don’t fall into the trap of thinking it goes like a performance car - this is not a serious alternative to a V8. 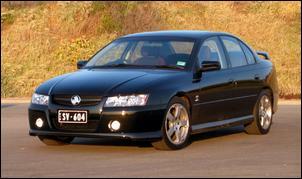 If you want to go fast you’re better off with the 5.7 litre SV8, which costs only AUD$3,000 more. We asked one of Australia’s leading Holden V6 tuning gurus – Leon Vincenzi of Adelaide’s Awesome Automotive – what he thought of the SV6 manual. “It drives as I thought it would looking at the power and cubic capacity of the engine,” he says. “It doesn’t really do anything at low revs. It goes alright when you take it to high revs but, even then, my development VN V6 would whip it. “Although it’s a completely different engine it is almost like the old 3.8 litre V6 with a bigger cam in it. That’s how it feels. It’s even got the same valvetrain noise at idle. It sounds strained when you take it to high revs too.